When you decide to ship your car, you should shop around to choose a car transporter that can offer you the best deal. Without a doubt, the price is not the only factor you should base your decision on. 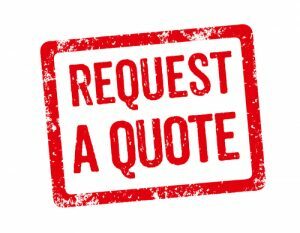 You should make sure you choose a reliable auto shipper with a good reputation because for some auto transport companies low quotes are just a way to attract clients. But after you have done your research, it is time to be a smart shopper and choose the best quote for car transport services. How to get a quote from Philadelphia Car Transport? It is not necessary to give us the exact addresses for us to calculate the price – the cities or zip codes will be enough. What kind of vehicle you need to ship will also affect the price of your Philadelphia auto transport. That is why we ask you to provide the year, make and model of your vehicle – it is essential in calculating the estimate. You can ship your car either in an open or enclosed trailer. Open car transport is a more affordable option, but exotic and luxury cars are usually shipped in enclosed trailers. If your vehicle is not operable, it will cost more to ship it because special equipment will be needed for loading and unloading. Your name, email address and phone number so we can contact you. You can also call our office for a Philadelphia auto shipping quote or with any questions you have!